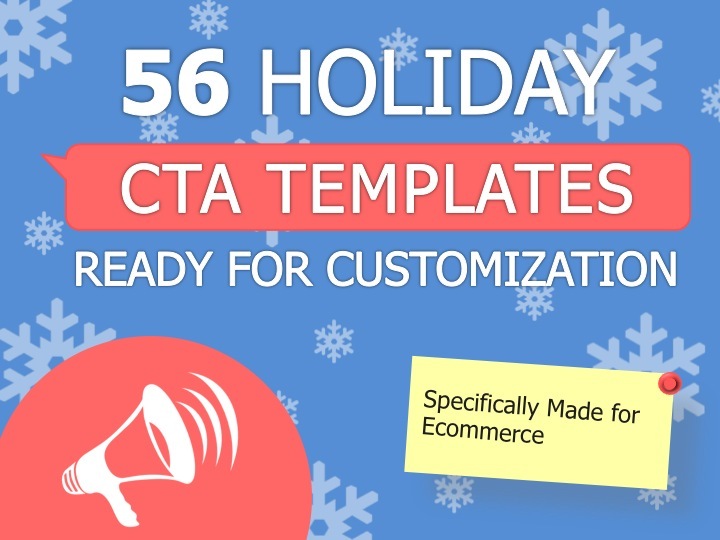 Convert More Traffic This Holiday Season With These Free, Customizable Holiday CTAs. Calls-to-Actions (CTAs) are a critical part of your ecommerce site—they're necessary to convert strangers into email recipients and eventually customers—especially during the holiday season! Creating and customizing CTAs can take a while if you've never done it before. That's why we put together 56 pre-designed holiday-themed CTAs to get your site ready for the season. This download also includes a guide that will teach you how to customize the holiday-themed CTAs for your brand. For ecommerce marketers, this may be the most time-saving tool you use to update your CTAs in the run up to the holiday season!